Been so busy that my life consists of: eat, sleep, go out. REPEAT! Not complaining though because it's fun, but just haven't had enough rest lately - life has been crazy like a whirlwind. This box i ordered after realising i had a few points to spend, but nothing to use it on. After seeing the review of the Hair and Body v1 box, i was hopeful about this box. It's good to get skincare products for the rest of your body too besides your face! Love this brand and packaging. Previously got the nail therapy pack and now i have the foot one! Foot peeling is definitely really really good! 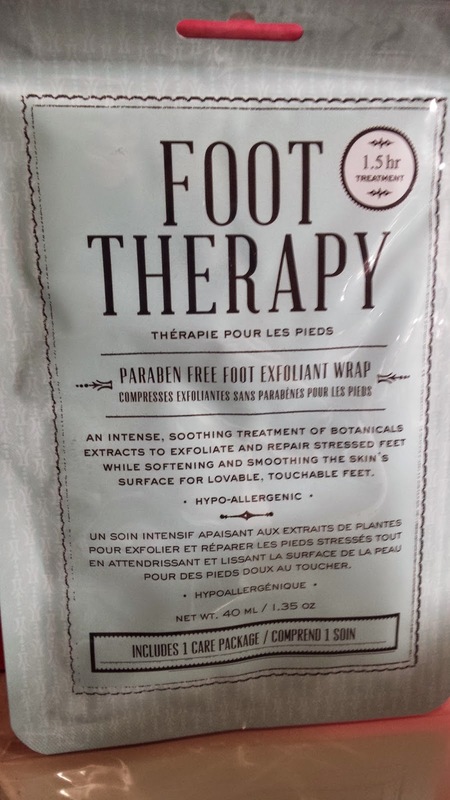 Going to save this and use it when my feet start to get icky again. fott peeling masks are just so easy to use and after the 3-4 days of peeling, IT FEELS SO GOOD! This costs US $9. This boasts of being able to create an "S" (slim) line for you. It's a slimming cream to remove any residues. I've been using this for my waist and thighs. Pretty doubtful of these products usually, but might as well try it..? It may help me slim/tone down as well as working out at the gym. This sells for US $21. These smell absolutely amazing! Berry is perfect for me haha and great size as i'll be going away for a few days soon! Great for travel! The full size product is 220ml and costs US $38. Such a pretty product and so interesting as well! This is actually lavender nail oil for your damaged nails. 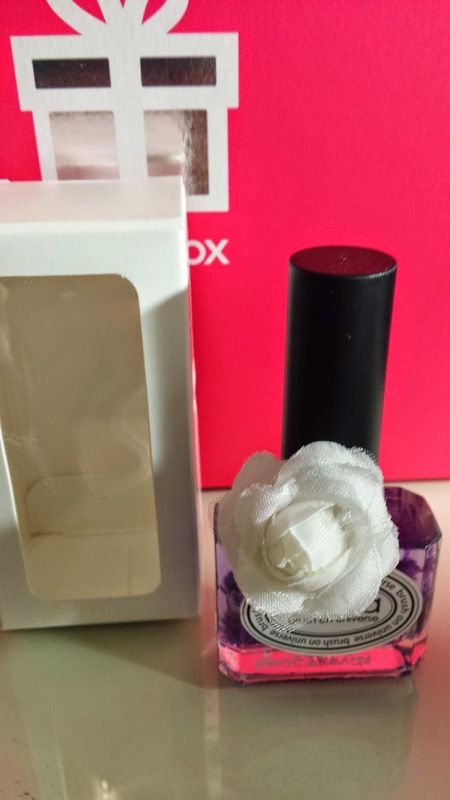 It's a natural remedy to protect your nails :) There's actually lavender pieces within the botttle too, very pretty! This costs US $10. 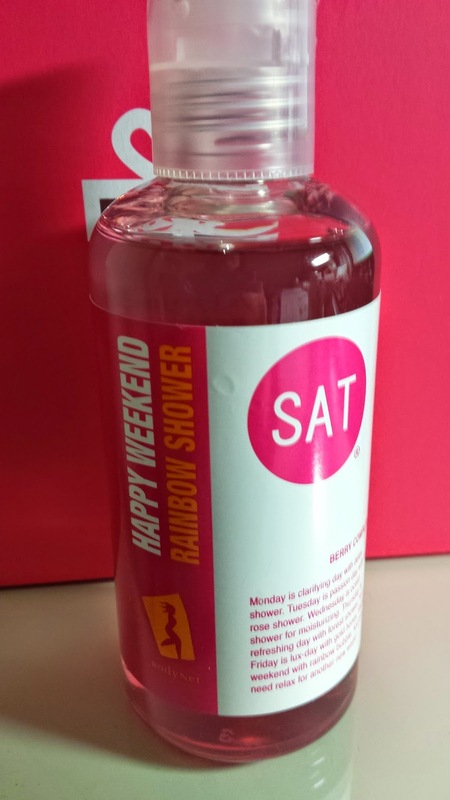 This was a huge 200ml bottle of body wash :) Got mine in 'berry complex' and smells great. This was also randomly selected from other types - grapefruit, rose, deep sea water, iris, honey and phytonicide. This costs US $6. The last product is a hair products (finally)! 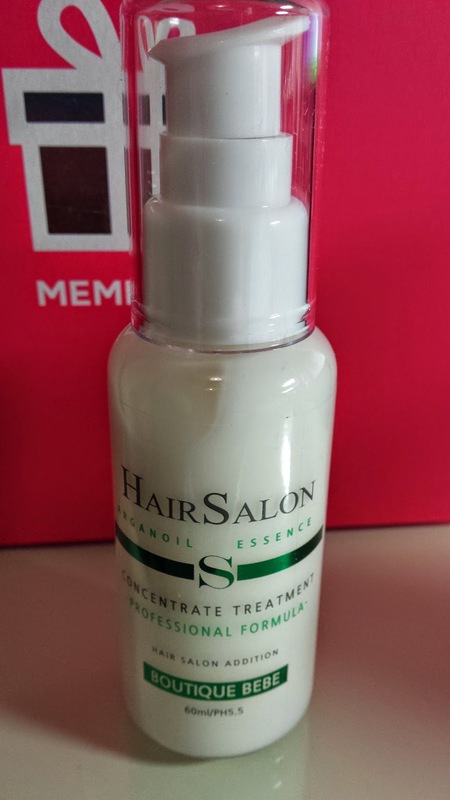 This Hair essence helps treat dry and crumbly hair. This is to be applied at the last stage of your hair routine to prevent it from going dry throughout the day. This sells for US $31. Overall, i quite liked this box. 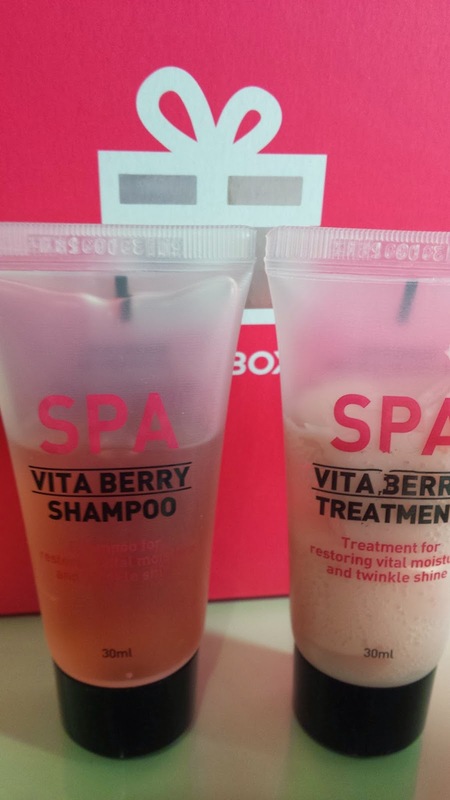 It's true that it wasn't as good as the Hair & Body v1, however, i generally liked the products in this box and will be useful as well :) It's really good to get something different from memebox - products for different parts of your skin and your hair...rather than it always being your face! The Hair & Body v3 is now out on memebox.com! Go check it out!